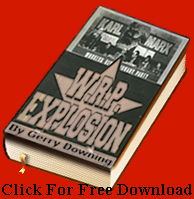 Paul Flewers has done sterling work for Revolutionary History. Communists regard race as merely a social construct. Yet given that, the above is common to all racism. For us, all peoples are equal and all racism equally to be opposed. The term ‘anti-Semitism’ is unscientific (Arabs are semites too) and was coined by racists to describe themselves, but originally signified hatred of all Jews. It has since undergone ‘definition-creep’ by Zionists and their apologists. Its current meaning condemns prejudice against all Jews, but also meaningful criticism, discussion and analysis, even by other Jews, of oppressive Jewish behaviour against others. E.g. criticism of the Jewish bourgeoisie for operating across national lines in oppressing Palestinians is equated with the Protocols of Zion, which posited a conspiracy of Jewish capitalists and communists to dominate the world. Bourgeoisies everywhere ‘conspire’ against their enemies, along and frequently across national lines, like “a real Freemasonry vis-a-vis the working class” (Marx). Such equations of analysis of normal capitalist behaviour with racist ‘conspiracy theory’ can only come from centrist agents of the bourgeoisie. 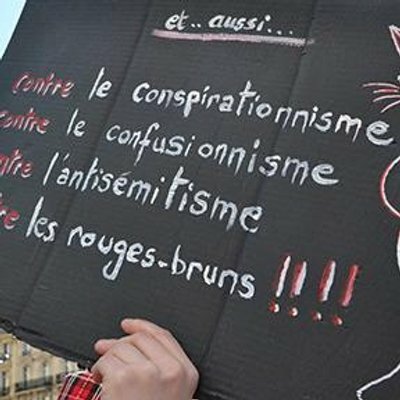 Communists reject a separate category of ‘anti-semitism’, distinct from and wider-cast than actual racism against other peoples. We consider this a racist concept, giving representatives of one people a weapon against criticisms whose legitimacy no one on the left would question if made against other peoples. It is an ideological weapon against the Palestinians, preventing understanding of, and struggle against, their situation. We equally oppose racism against Jews, Arabs, Blacks, Irish, and all peoples, as defined above. All racisms share this definition – hostility to all in the targeted group. 2. All forms of racism as defined above, including anti-Jewish racism, are incompatible with membership of the Communist Platform. The privileging of so-called anti-semitism, based on an entirely different definition as noted above, is a violation of the principle of the equality of peoples and thereby a form of racism, and is also incompatible with Communism. If you vote against that, you are voting against anti-racism and for the inequality of peoples. Which is pretty concrete when it comes Israel’s dispossession of the Palestinians. AND WHY IS PAUL FLEWERS REPORTING THE OPINION OF THE CPGB’S HACKS ON THIS QUESTION WHILE NOT REPORTING THAT THE DISPUTES COMMITTEE OF LEFT UNITY, WHICH INVESTIGATED THE SAME VIEWS, CONCLUDED THAT THE ALLEGATIONS MADE BY THE CPGB WERE FALSE? Why are you selectively reporting facts that do suit you, and not reporting facts that don’t, Paul? Is that because you comfortabe hob-nobbing with the Islamophobic scumbags, racists and even Loyalist bigots who habitually post here and on Shiraz Socialist? Its obvious from Flewers’ meanderings above that he has not even read and studied my stuff on this and what I actually said, as opposed to what that mendacious maneouverer Jack Conrad and the ageing centrist and capitulator to Zionism Machover tried to portray. Well, the Left Unity Disputes committee, a genuinely impartial body, not like the minions of Jack Conrad’s cult-like regime, studied these difference in depth and concluded the allegations were false. Pathetic. The prejudice is all yours Paul. This is your port of call, with its nasty Zionist bigots who are all welcome here. This place, and Shiraz is a cesspit. Though occasionally you have to dip into a cesspit to defend yourself against the stench when it spills out. It is no more predicated on ‘ethnicity’ than Leon’s original idea of the people class was predicated upon ethnicity. Leon’s people class, incidentally, was also pan-national, it existed in several countries under feudalism. My conception is that the People-Class did not simply disappear without trace when it dissolved into other classes when feudalism dissolved. The fact that this formation had a centuries long accumulation of cultural capital (metaphorical), and to an extent also material capital gave the part of the Jewish population that was absorbed into the bourgeoisie an advantage, and a predisposition to inordinate success. It also bequeathed to them a pre-existing collective consciousness of sorts. Taken together these were the basis of further evolution in material terms. We are talking historically constituted formations where either classes, or castes within larger classes, coincide with peoples or parts of peoples. These are unusual phenomena. But so what? They exist. If you want to deny their existence because of your prejudices, then I can only echo Marx .. “facts are stubborn things’. To try to ban analysis of the class bases of particular social formations because they don’t suit your liberal-Zionist prejudices is treason against Marxism. Just to expound this slightly further, the ‘cultural capital’ being referred to here involved being steeped in activities involving exchange value in a feudal society whose mode of exploitation was based on use value. Which is an enormous cultural acquisition and advantage in an emerging capitalist society based on the generalisation of commodity exchange and its extension into the sphere of mass production of commodities through the exploitation of wage labour. There is nothing mysterious about this. It is what Marx was addressing in his famous essay ‘On the Jewish Question; Leon was in this sense a completely orthodox Marxist, and I am in turn an orthodox Marxist-Leonist (and a Leninist as well of course). I invited Ian Donovan to join Socialist Fight because I studied the dispute he had with Weekly Worker and Jack Comrade and Moshe Machover in particular and concluded the Ian was correct in that and they were wrong and were distorting his views. In fact he was talking a very courageous stance against the liberal Zionism of the soft left in Britain and globally. The wider community in Left Unity concluded that these charges of anti semitism were baseless and rejected them out of hand. Whilst having differences with Ian on other issues his acquisition has enormously strengthened Socialist Fight and given it a wider political base for intervention in the class struggle. The fact that we’re are both attacked equally by that Zionist bigot Jim Denham is only to our political credit. And Coatsey’s collaboration with the notorious pro Zionism and pro imperialism of the worst elements of the AWL reflects very badly on his own political orientation. And as for the stance in favour of the Donbass and participation in SARU we have nothing to apologise for here either. And we have nothing but contempt for those who support the Maidan coup if a year ago as a “revolution”. Another one of those “revolutions” like in Libya and Syria, supported by NATO, the CIA and every rag bag reactionary on the planet. Another shameful capitulation by the pro imperialist left batting for their own ruling class and global finance capital to protect the living standards of workers in imperialist countries. We have rescued the banner of Trotskyism from those who drag it in the mud by their pro imperialism. The Alliance for Workers’ Liberty reported last yearon this strange event. As many as 30 (thirty) people turned up to the most recent mass action staged by the so-called ‘Solidarity with the Anti-Fascist Resistance in Ukraine’ (SARU) campaign: a picket of the US embassy in London, backed by the equally misnamed ‘Stop the War Coalition’. “The Ukrainian army suffered a humiliating defeat. That defeat is a defeat not only for American imperialism and its forces but also for Franco-German imperialism. We should salute that victory and be unequivocal about it. Flewers’s question is beneath contempt: his attitude is that of an employer evaluating a new hire based on job references. Who cares what some sect said about Donovan? Implied: if some leftist anywhere calls a comrade “antiSemite,” he must be made a pariah. i think you need to read the works of James P Cannon to set you on the right track.